As a student I like to shop around and see what make-up is there for me which works within my budget range but also is of good quality. . 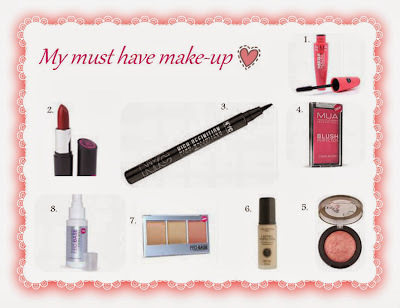 Recently I found some great products from the Make-Up Academy, Accessorize, NYC & Collection 2000 range . .
Each item is of really good quality and I find some of these products work just as good, if not better, than more expensive products . . however I do like to use more expensive products such as urban decay and mac but I tend to be bought these as gifts but they are very long lasting. .
My very first foundation that I began using was from Collection and my sister would always buy me it as a treat, however I was too young to understand choosing the correct colour for my skin and how to apply foundation so I never thought it was a great product because it always appeared 'streaky'. .that was until I got older and learnt how to apply make-up . . 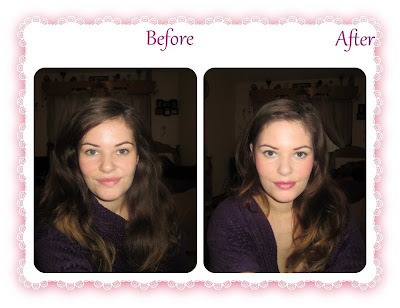 I was using rimmel wake me up and the body shop foundation before hand - however I really wanted a change and this foundation seemed very promising so I gave it a go . . I really love this foundation and I use it every day . .it covers my rosacea brilliantly and really evens out my skin tone - A must try girls !! I think of lipstick and eyeliner as an accessory to my face so every day im always changing them about . . I always wanted an orangey lipstick for the summer and in September I found a gorgeous coral colour from the Collection 2000 ..as I loved it so much I got another more natural colour shade perfect pink . . the eye liner im using is from NYC and is the marker style which I find a lot easier to use and a lot more sturdy as it stays in place all day compared to liquid liners which I feel smudge and rub off after a few hours of wear . . . I used all of the products above to create this finished make-up look that I wear every day . .
. . Big Beautiful hair . .
Toothbrush as a . . .